If you don't want to walk or ride a horse, here's how to fast travel in Assassin's Creed Odyssey. About a year ago I made the decision to stop fast traveling in open-world games. I found that if I took the time to walk, I became more immersed in the world and got more out of the experience. However, after walking across the map for the hundredth time, everybody breaks and decides to take a shortcut. 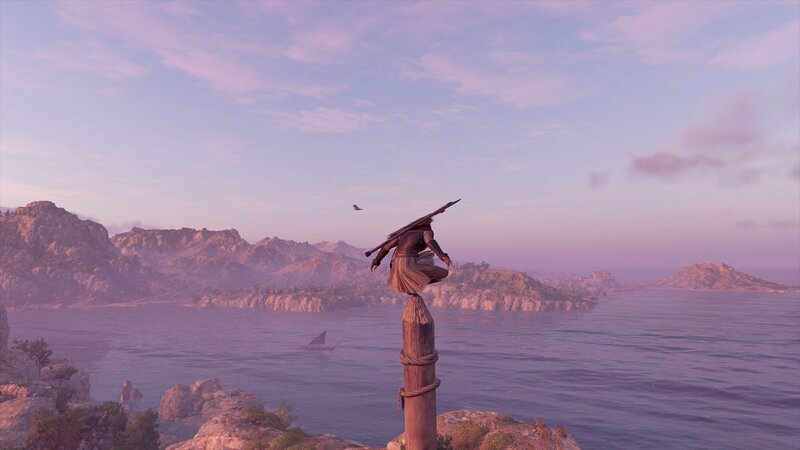 While the world of Assassin’s Creed Odyssey is full of things to discover, I wouldn’t blame you for wanting to skip the trip and arrive at your destination immediately. Here’s how to fast travel in Assassin’s Creed Odyssey. Fast travel requires that you first unlock synchronization points around the map. These are almost always high up and require you to do some climbing. They are also marked on the map as eagles, allowing you to set a way point and travel directly to them. As you find these synchronization points, climb and unlock them, then you can use that point at any time in the future to fast travel. 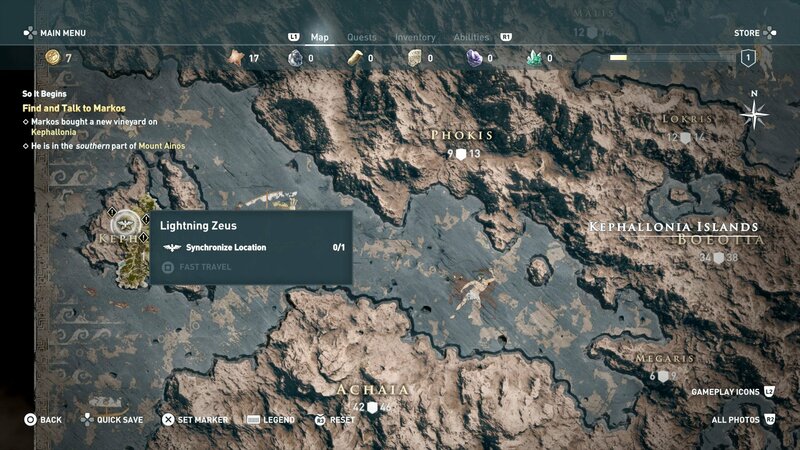 If the eagle icon on the map is white, the fast travel point hasn’t been unlocked. Once you’ve completed the synchronization, however, the icon will be gold and fast travel will be available. Players can also fast travel to their ship, which will become available a few hours into the game and after some main story progression. Your ship will be an important part of the game and something of a base once you start exploring the world, making this fast travel point the most valuable by a mile. Just be sure to dock your ship properly when not using it in order to activate it as a fast travel point. 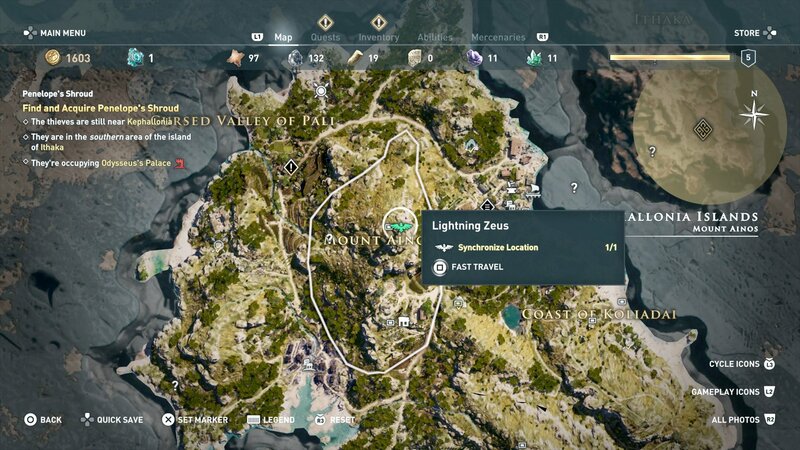 Now that you know how to fast travel, be sure to browse and bookmark our Assassin’s Creed Odyssey walkthrough and guide. You’ll find tips and tutorials to help you become the deadliest assassin the world has ever seen.